We come together to mourn. We come together to heal. 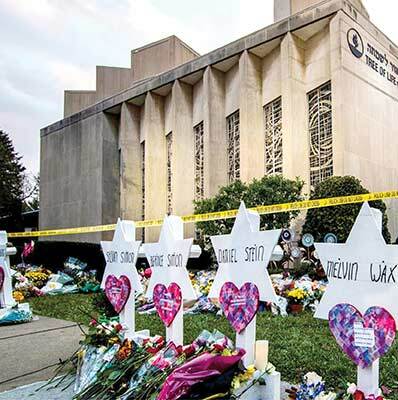 Please show your support for Pittsburgh by contributing to a special Hadassah Yahrzeit Tribute Fund in memory of the 11 Tree of Life victims of anti-Semitism. For each of the 11 lives taken, a rabbi will say Kaddish every year in perpetuity in Israel in the Abbell Synagogue at Hadassah Hospital Ein Kerem. Let us help shine light on their memories.